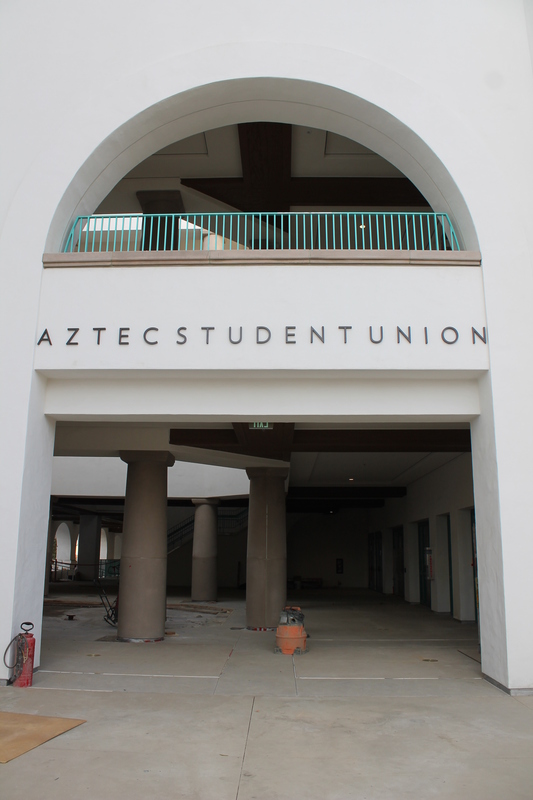 Signage has been installed above the entrance into the Union from the pedestrian bridge. 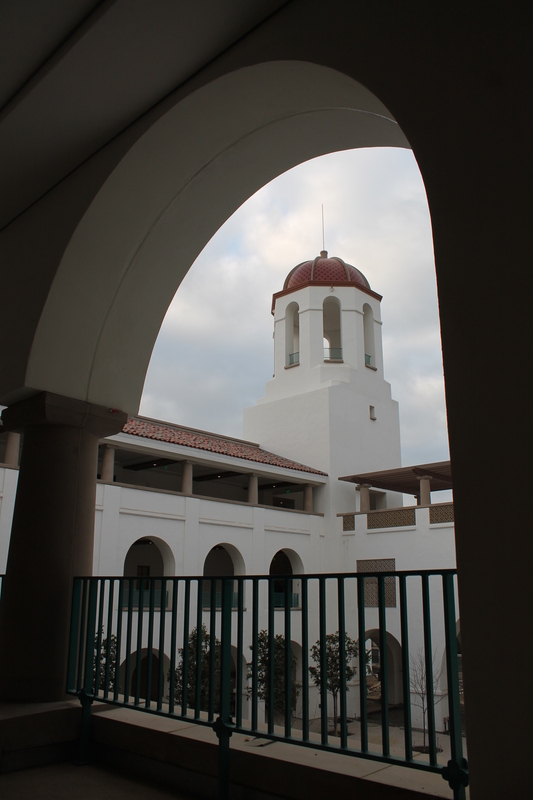 A view of the dome from Goldberg Courtyard. 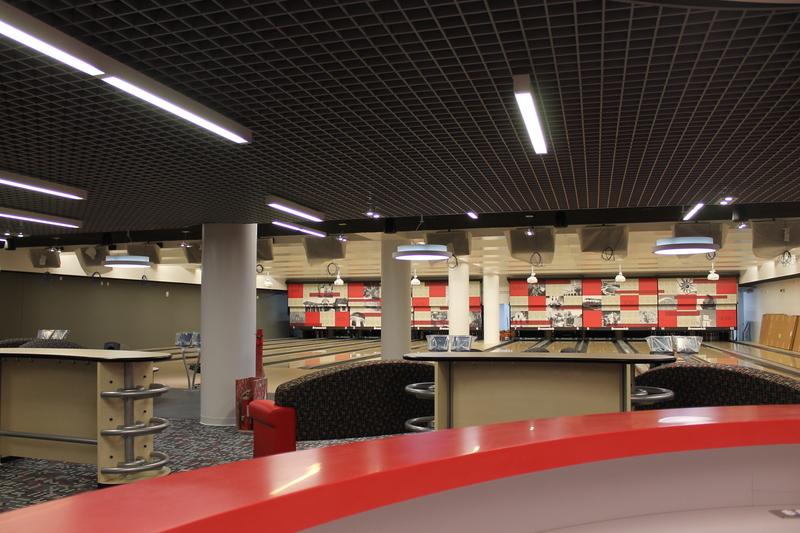 A look at a near-complete Aztec Lanes from the guest services desk. 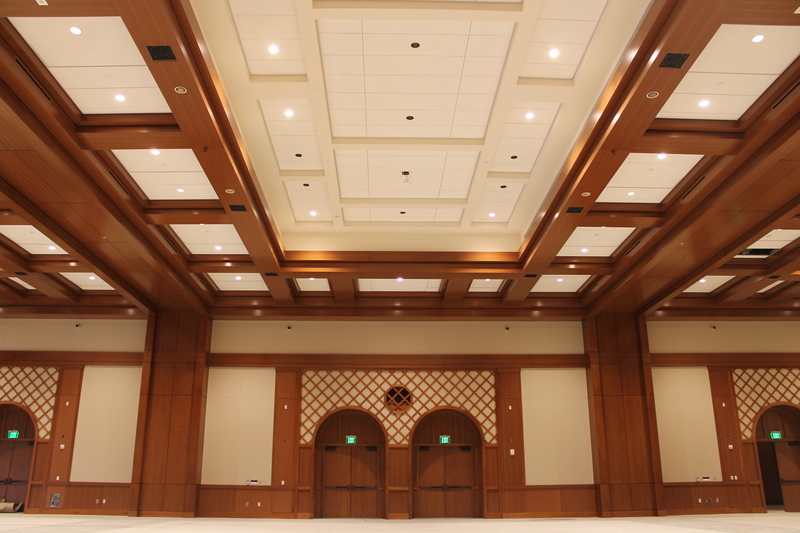 A view of the entrances from Montezuma Lounge into the near-complete Montezuma Hall. 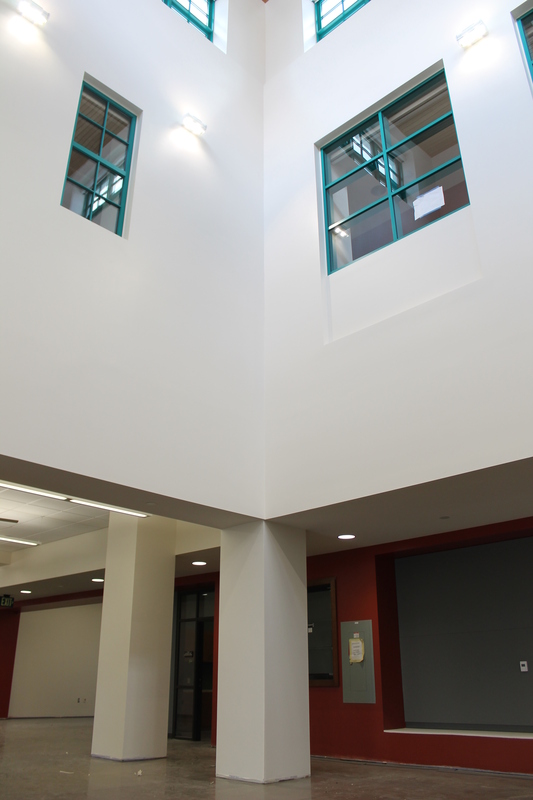 A view of the student organization offices near the entrances to Commuter Resources and the Center for Leadership and Service. 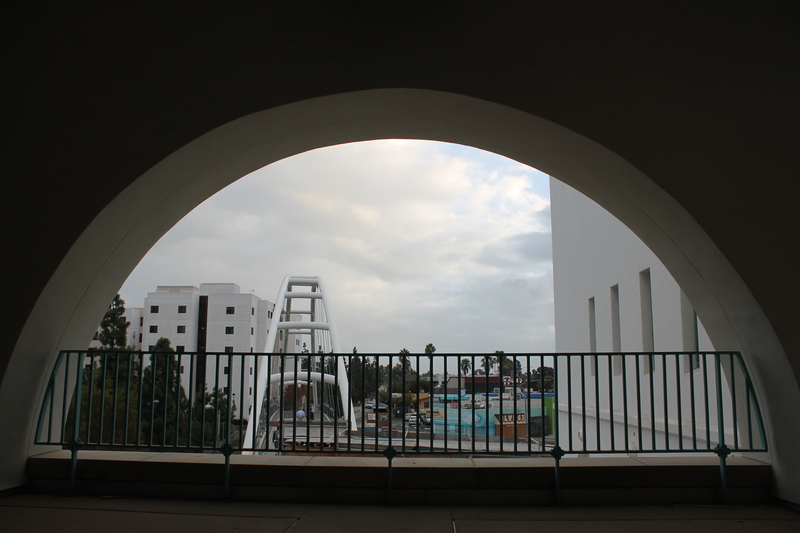 A view of the pedestrian bridge from the second floor of the Union. 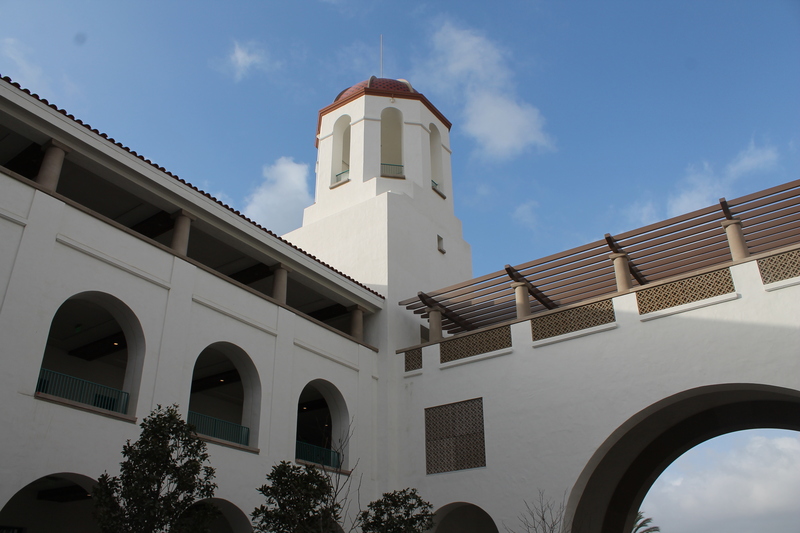 A view of the dome from one of the arcades, AKA covered walkways, on the second floor. This entry was posted in Construction, Spaces. Bookmark the permalink.